Are you as thankful as a farmer? When I started my career in advertising my very first account was Case IH farm equipment. Case IH makes the red tractors, combines and implements that dot the American countryside. I was hired to work on the account because I have a farming background. In my job interview I shocked the ad agency leaders with my knowledge of PTOs, disk harrows and 12-row heads. I know these things because I come from a long line of farmers. My mom is one of nine farm kids. My dad is one of twelve. You will never find a farmer in Vegas. Because we are gambling out here every day. Farmers are gamblers who bet on themselves. They are the ultimate entrepreneurs. They eat and breathe their work. Literally. They work from sun-up until sun-down. They reap what they sow. But to farmers, these are not clichés. These are the facts of life. But here is the scariest reality of farming: A farmer can work tirelessly every day, follow the best formula for success, never make the same mistake twice, and still go bust. This is because a farmer does not control his or her own fate. They are at the complete mercy of Mother Nature. And Mother Nature doesn’t play fair. She doesn’t care how hard you work. Or that you’ve invested every dime you have into this year’s crop. And no one is immune to the whims of Mother Nature (except maybe the people who live in San Diego). Me and my kids visiting my Uncle Chuck and Aunt Karen’s dairy farm. So the farmer can do everything in his or her power to grow a bumper crop, and then there is no rain. Or too much rain. Or a killing frost. Or flattening wind. Or hail. Or an eff-ing grasshopper plague. So this time of year, when the frost is on the pumpkin and the hay is in the barn, farmers are more thankful than you could ever imagine. While all Americans are thankful today, they are not as thankful as farmers. My Uncle Jerry’s farm, ready for the fall harvest. The moment I started planning to launch my advertising agency, I felt like I was getting back to my farming roots. Because I was betting everything on my ability to grow my own crops. But instead of producing corn, soybeans and milk, I would be growing creative ideas. And the hard thing about growing creative ideas is that you can’t buy the seeds from Monsanto. Today, I am experiencing farmer-strength thankfulness. The Weaponry, the advertising and idea agency that I started in 2016, has transformed from a dream with a plan to a physical business with walls, doors and desks. We have world-class employees. We have great clients. And we are cranking out ideas like Iowa cranks out corn. My boys and my Uncle Jon, keeping things under control at my Uncle Randy’s farm. 6 things I’m thankful for this Thanksgiving. Today I’m thankful for my wife Dawn, who has demonstrated unwavering faith in my ability to feed, clothe and shelter our family. I’m thankful for my kids who share my love for ideas, adventure and creation. I’m thankful for my team of smart, self-driven creatives who produce valuable ideas every day. I’m thankful to my clients who have trusted The Weaponry to help them create the strategies and ideas they need to grow and thrive. I’m thankful for all of my friends. For handshakes and hugs. I’m thankful for those who will take my phone calls and reply to my texts. For the friends who have joined me this year for chocolate milk or a meal. And to those friends who like, comment or share something I post on social media. And on this day that we give thanks for the harvest I am especially thankful for my large farm family of Albrechts and Spraus. Our rich farming lineage has provided us all with a tremendous work ethic, a strong self-reliance, and a great appreciation for all that we have. Today we are working hard to pass the character traits that grow strong on farms on to our children. So that even though our offspring may never live on a farm, they will benefit from our family roots that reach deep into the rich black soil of Minnesota. As you enjoy your Thanksgiving feast with friends and family take time to count your own blessings. As you pass the plates around the table remember where the food came from. And please say a little thank you for the farmer. Because surely they are saying thank you for you. *If you decide to subscibe to this blog I woud be extremely thankful too. Posted on November 23, 2017 November 23, 2017 Categories advertising, farming, inspirationTags Case IH, Farmer, Harvest, thankful, Thanksgiving2 Comments on Are you as thankful as a farmer? 5 things I’m thankful for at work. Like my fellow Americans, today I’m reflecting on my blessings. I enjoy a very full and well rounded life (although I expect to be even fuller and rounder in a few hours). I have so much to be thankful for I can’t possibly mention it all. So here is a quick overview of 5 things I’m thankful for this year at work. 1. I don’t have to wear a collared shirt with my company’s logo on it. 2. 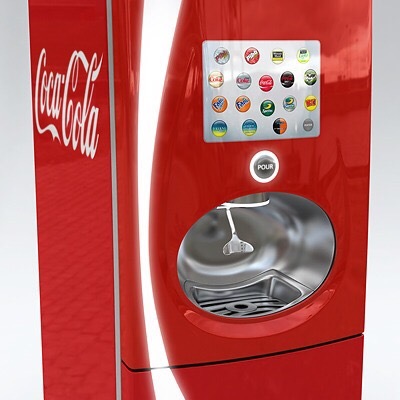 Our Coke Freestyle Machine. When I was a kid I remember going to my Dad’s office and thinking it was so cool that they had a vending machine that sold Cokes in glass bottles. My office now has a Coke Freestyle machine that lets you create over 125 different drinks whenever you want. The drinks are all free with employment at Moxie. Which makes my kids think I have the coolest job ever. Even thought we have grown used to it I certainly don’t take this boyhood-dream-come-true for granted. For the past 8 years I have managed a team spread across multiple offices. Many managers and teams struggle with the distance. One of the most valuable tools I use to bridge the space between our offices is video chat. I use it almost everyday, often multiple times a day. It offers valuable, face to face communication that allows me to recognize nuances in communication that you just can’t detect through email, IM, text, phone calls or smoke signals. Note: I also get a lot of strange looks from coworkers when they pop into my office and find me telling stories to my laptop. I have a lot of frequent flyer miles from work travel. This fall my Mother In Law was diagnosed with cancer. Those miles made it easy for my wife to fly home to Wisconsin to see her mom and be there as she went through surgery and treatments. The miles are a nice bit of compensation for all the time I’m away from home. And they made it easy to support our family members when they needed it most. 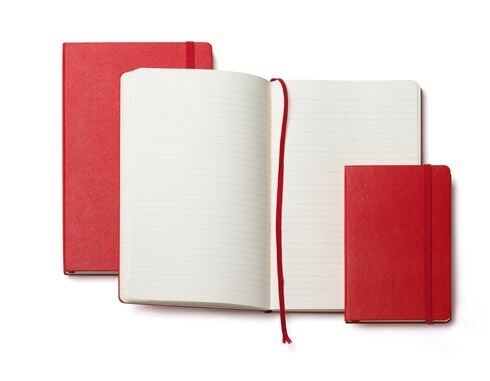 2015 was an unprecedented year in my accumulation of these amazing notebooks. I had numerous meetings and conferences this year where these books were part of the swag. I have a hard time turning off my thinker. These notebooks are the perfect receptical for me to store the thoughts and ideas that pop in my head before they disappear into the ether. Sure, I use Notes on my phone and Evernote and other digital tools. But nothing gives me the satisfaction of holding a hard covered book full of my own words, sketches and ideas. I have a vision of my offspring making a fortune off of the ideas they find in my notebooks after I die. Or at a minimum they could set up a cart selling corny t-shirts and bumper stickers to pay for their therapy. I hope you all enjoy your time off and recognize all you have to be thankful for at work. Even if somedays it feels like you’re surrounded by turkeys like me. Posted on November 26, 2015 November 26, 2015 Categories advertising, business, marketing, UncategorizedTags advertising, career, coke, cool workplaces, freestyle machine, frequent flyer, logo shirts, miles, moleskine notebooks, thankful, Thanksgiving, video chat, workLeave a comment on 5 things I’m thankful for at work.